If you are a landlord who has bought a property specifically to rent it out then you are probably no stranger to shopping around for the best buy-to-let mortgage. The same should be true of your property insurance. Although it’s not a legal requirement to have buy-to-let property insurance, your mortgage company may require it and there are obviously several specific risks you face as a landlord when letting out a house. 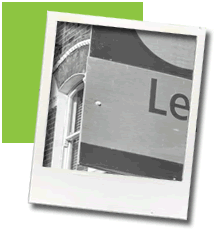 What does buy-to-let insurance cover? You need to protect your investment, and normal residential home insurance is just not suited to your situation. What if there’s a burglary? Or your tenants refuse to pay rent? As well as the buildings and contents insurance, you will need to think about loss of rental income and the risks for which you are liable when letting your property to tenants. Also, remember that any tenants ought to get contents insurance themselves as their belongings will not be covered by your landlords insurance policy, especially if it’s an unfurnished let. Nowadays house shares are more and more common. If you are letting a property with multiple occupants (one that has three or more storeys with five or more residents), then you will need to obtain an HMO licence from the local council. You must also have extra measures in place when it comes to fire safety, as these types of properties are typically at more risk than a family home. As a buy-to-let landlord you need to consider the possibility that your property will be left unoccupied for several weeks or even months of the year, particularly if you are renting the house out to students. You also need to think of the impact that tenants can have; as you cannot physically supervise your tenants 24/7 you cannot guarantee that your property will be well looked after. Accidents can happen! With HomeProtect buy-to-let insurance, it doesn’t matter what type of property you own, where it is located or even how many residents are living there. When it comes to providing the right level of cover to suit your individual circumstances, we ready to provide a quote.